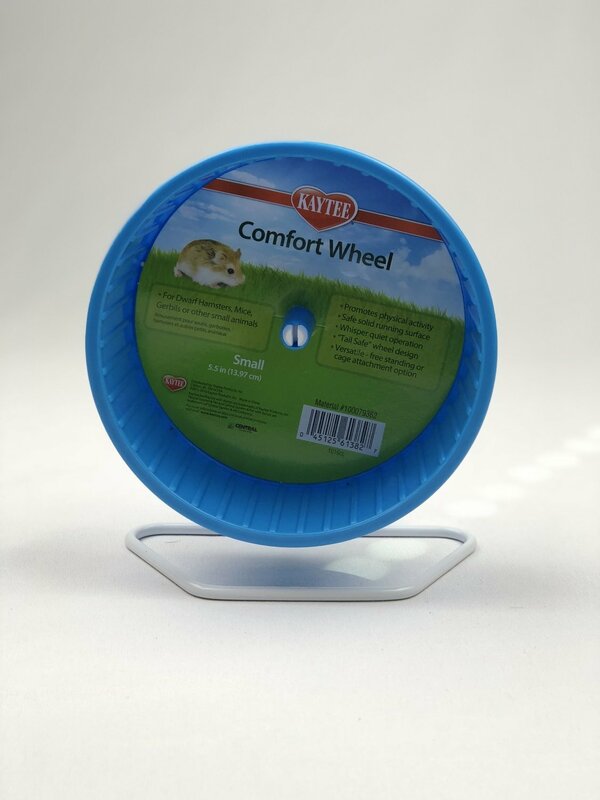 For Hamsters, Mice and Gerbils. Features a safe, solid running surface, quiet operation and a tail-safe design. Comes with a heavy duty wire stand and a 2-way attachment clip, so the wheel can be used either free-standing or clipped to a wire cage.